A big thank you to Miranda Mowbray from Tempest Books for this surprise recap! As Penryn’s paralysis wears off, she joins her mother, her sister Paige, and the rest of the Resistance in their caravan to their new headquarters, Palo Alto high school. They’ve found out that none of the angels died in the attack on the aerie because of their healing powers and are now trying to regroup. Full-grown scorpions, like the ones Penryn saw in the aerie’s basement in Angelfall attack the school and force Paige and her mother to run away, but Paige gets separated. Penryn and her mother are captured by scorpions and taken to Alcatraz, which they’re using to imprison humans that they plan to turn into scorpion creatures. Penryn meets the scientist doctor working there, who shows her a video that proves that Paige has some sort of affection for Beliel, Raffe’s enemy, and now Paige needs to find him in order to find her, because she is probably with him. In an elaborate escape plan, Dee and Dum transfer prisoners back to the mainland with boats while Penryn is brought as a human companion for Uriel, who is trying to become the head angel at the new aerie. While there, Penryn and Raffe find each other and there is a huge battle as they fight for their lives, try to save Paige, and attempt to steal Raffe’s old wings. They think they are outnumbered, but a huge flock of scorpions come and drag the three of them off to safety, because they believe that Paige is one of them. Penryn’s paralyzation wears off and people think she rose from the dead, but she manages to calm them down. No one asks or cares about Raffe, all assuming he was a demon. Penryn and her mother and sister now live at Palo Alto high school, Resistance headquarters, but Penryn is guiltily afraid of her sister and sleeps with a sword. The Resistance takes a trip back to the aerie, where they realize angels’ healing powers are very advanced when they see them reviving angels previously thought to be dead. None of them are dead, and there’s no DNA evidence to take back to the lab to inspect. Penryn finds a girl, Clara, that she saved from one of the fetus tanks in Angelfall who is still alive, but she looks like she aged 50 years. Penryn figures out that Raffe’s sword sort of has “feelings” and memories, and she lets it teach her how to fight using vision-like tutorials with Raffe’s memories. The Resistance realizes that Paige is not human and they try to capture her with ropes, intending to bring her in for experiments. While Penryn and her mother are fighting the guards, full-grown winged scorpion men attack the high school. In the scuffle, Paige runs off into the woods while Penryn and her mother stay back, where they are put into custody in the back of a police car. In the middle of the night, Clara rescues Penryn and her mother with the car keys, and they discover that Paige is at Alcatraz, but when they get there, a swarm of scorpion-men and angels are surrounding the island. They see two scorpions and Beliel chasing a bunch of people on land and capturing them with nets. Raffe shows up to fight Beliel, but it’s a trap, and a net falls down from above to catch him. When his new demon wings easily slice through it, Beliel takes off in flight and Raffe follows him. Penryn, her mother, and Clara are also captured by nets, and everybody is herded onto a boat, where Penryn is forced to relinquish her sword. Once they get to Alcatraz, Penryn and two men are taken to a “scorpion factory,” where humans are being turned into scorpions (referred to as “locusts”) in water droplet-like cocoons. They attack their guards and manage to escape to the doctor’s office, which is run by a human. The four of them concoct an escape plan and Penryn watches a movie of Paige that she finds in the office — it’s of what Paige went through after she was captured and brought to the basement of the aerie. 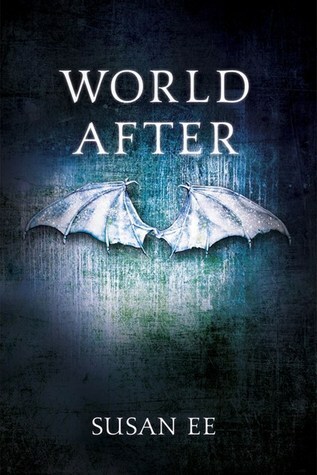 Beliel kept Paige as his pet while she was captive and Penryn realizes that she might be suffering from Stockholm Syndrome after they bonded from both being “monsters.” The doctor tells Penryn that Paige is “special” and thinks she could help save the world, and that Paige is with Beliel at the new aerie. Penryn goes with some other girls to the aerie, and in the car, they drive by Dee and Dum on the side of the road. Penryn slips a note out of the car window in hopes to convince them to commandeer the boat for the escape plan. Penryn arrives at the new aerie, a hotel in Half Moon Bay, and gets made up with a twin look-alike to hang out with Uriel at a fancy costume party. Penryn discovers that the angels have been working on the scorpions for much longer than they thought, and that Uriel is trying to get angels to interbreed with human women, even though it’s against the rules for them because it creates nephilim. Penryn also notices that Beliel is at the party, and then Raffe and her recognize each other. During dinner, Uriel lies and announces that biblical locusts (his own scorpion creations, not actually biblical) have arrived and signal the apocalypse. In their excitement, the dinner turns into a massacre as angels mutilate human attendees. Raffe grabs Penryn and they manage to escape to a nearby beach house after having a fight-to-the-death above open water with angels that chased them. Raffe and Penryn finally reunite and have a chance to talk. Raffe tells Penryn that the reason the angels are excited about the apocalypse is because the last day of the apocalypse is Judgement Day, in which there is a big trial for all of the fallen angels. For angels, the apocalypse mean that they will get to see their fallen brothers again, and killing all of the humans is merely an incidental consequence. Raffe and Penryn fly back to the boat, where Dee and Dum are releasing prisoners, to get their sword back, and see that Clara has managed to be reunited with her family. When they get back to the aerie, Raffe and Penryn notice Beliel from afar and watch as her interacts sweetly with Paige. Out of nowhere, Paige suddenly leaps up and starts attacking him, and scorpions swoop down to help her. After she is done, Paige notices her sister’s presence and they have a tender moment together in which Penryn realizes that her sister is still the same girl she’s always loved, not a bloodthirsty monster she should be afraid of. As Beliel lies dying, Raffe cuts off the stolen wings, but now they are surrounded by angry angels. As Penryn attempts to fight, her sword, after having gone through so much hatred and humiliation in being relinquished from Raffe’s ownership and now being wielded by a “pathetic” human girl, takes matters into its own hands and crashes into Burnt’s (the kidnapper of children) sword, destroying it. Taking her opening, Penryn shoves the sword through Burnt’s chest and everybody around them watches as the life seeps from his eyes. Astonished that somehow this human girl has managed to wield an archangel sword and kill an angel, the rest of the angels suddenly stop fighting as their weapons drop helplessly from their hands, intimidated by Penryn’s sword. But the angels quickly get over their shock and start to come at them bare-handed, and they can hear scorpions on the way to the fight as well. Still unable to fully control their flight, the scorpions start landing willy-nilly all over the angels, crushing and attacking them, leaving Penryn, Raffe, and Paige free to escape. Paige, lying on Beliel’s dead body, is picked up like a queen on a throne by the scorpions and they all fly off. They don’t know where they are headed, but for now at least, they are safe. Scorpions/Locusts – Fully-grown versions of the tiny scorpion-like creatures Penryn saw in the basement of the aerie in Angelfall. Alcatraz – A real-life old prison on an island where angels and scorpions are keeping humans to turn them into a scorpion army. Beliel – Raffe’s arch nemesis, who cut off Raffe’s wings at the beginning of Angelfall and then stole them from him at the end of Angelfall, replacing them with black demon wings instead. I just have one question. So when you finish the series it is left unsaid how exactly Paige controlled the locusts. Did I miss something? Care to recap?